Orcs in the Webbe brings you another scenario season, starting off with A Softer Fire. Today we return to the Windy Isles in the first part of the prelude to this years 'season' of Dreadloque adventures, the piratical version of Flintloque. In this, the first of a new series focusing on storyline in tandem with game mechanics, you will find an After Action Report of THW's 'And a Bottle of Rum' rules as well as a short piece of Flintloque fiction based on it. 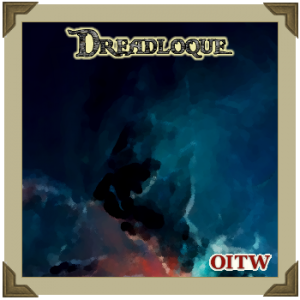 Dreadloque and its sequels are set in Danny O'Hara's piratical take on Flintloque - Alternative Armies skirmish wargame set in an alternate Napoleonic war featuring fantasy races - but take place in their own part of that world called The Windy Isles. A place of high seas, pirates and treasure, far removed from the smoke hazed battlefields of the Mordredian Wars in Urop.